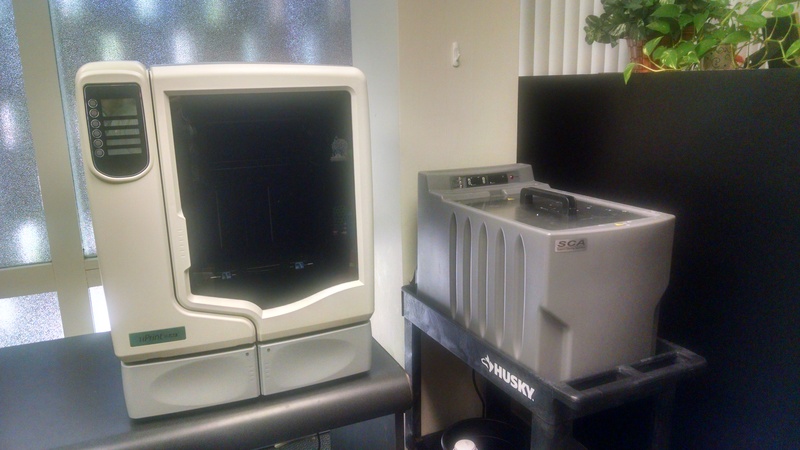 The two Print SE Plus 3D printers offer high-end ABS filament printing with dissolvable rafting/scaffolding. Because of the cost of these machines and the cost of the materials to support it, these printers are restricted to academic print jobs by appointment Monday-Friday beginning at 8:30 am. Print jobs must be completed by 5:00 pm. 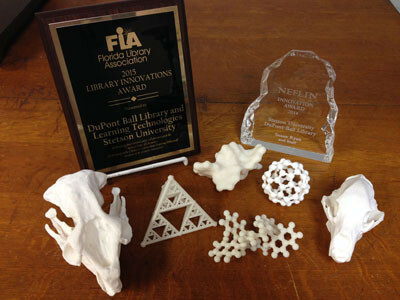 Other print jobs may be done any time the library is open on the library’s MakerBot, Ultimaker, or MakerGear printers which do NOT require reservations. Please determine in advance your print time – you can do this by opening your file in the printer software (CatalystEX 4.4 icon) on the computer workstation next to the printer. That will tell you how much time to reserve. [Note: to reserve more than one time slot in a day, click on additional time slots before clicking on ‘continue.’] Additional time will be needed (perhaps 1-4 hours) for your print job to soak to remove the dissolvable rafting/scaffolding, but you do NOT have to reserve time for that – and your object may be left to soak overnight if necessary. Dissolving may also be done at a later time after your print job is completed. Please note that more than one of your print jobs can be run at the same time on one machine. 1. Turn off projector and lights before leaving. 2. No food and/or drinks are permitted. 3. 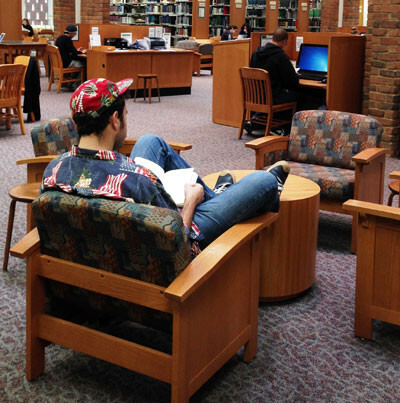 If you bring extra furniture into the room, you must remove it when you leave. 4. 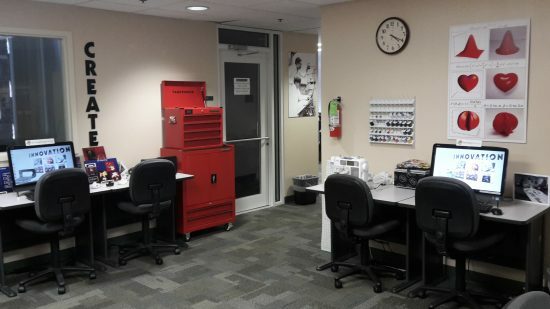 After business hours and on weekends: You are responsible for contacting Public Safety to unlock/re-lock the room. 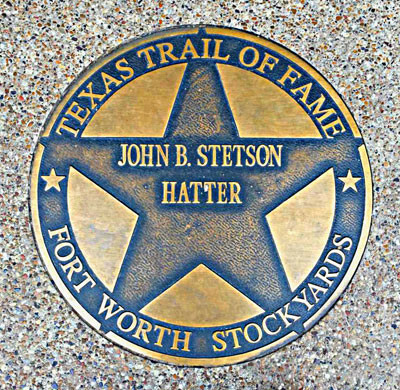 To reserve: log into My Stetson, then under Resources select Request an Event / Event Management. Next, click Events, then Request Event. 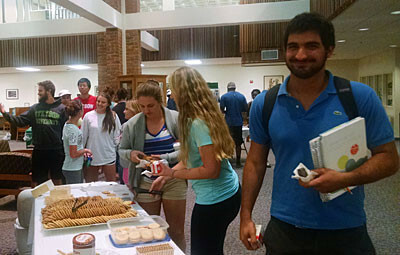 To view Event Calendar without logging in, click below. This room is located downstairs in the duPont-Ball Library in the Library Collections Management wing, across from Room 25L. 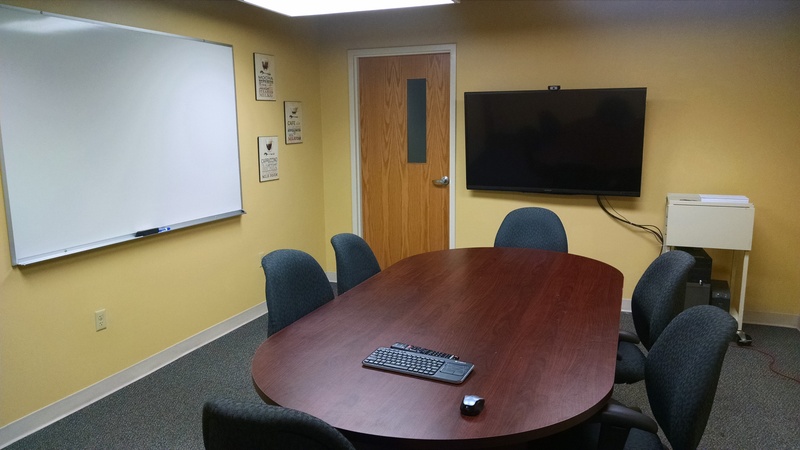 This is a small conference room that can seat 6-8 people and has Skype, Apple TV, and collaboration station capabilities. If you plan on using Skype, then please arrive 10-15 minutes early to set-up your account. Visit Room 9 to gain access to 26L. This room is available Monday through Friday from 8 am to 6 pm. The room has Skype directions, or you may access Skype directions online. 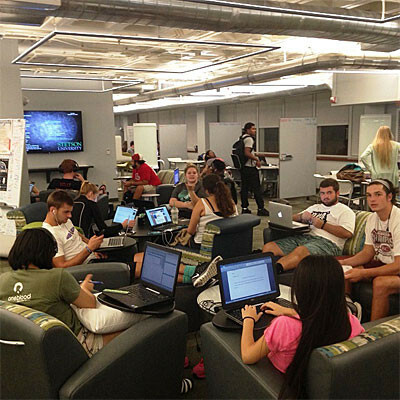 The Alpha, Beta, and Gamma rooms are the three small study rooms with a whiteboard and seating for four. 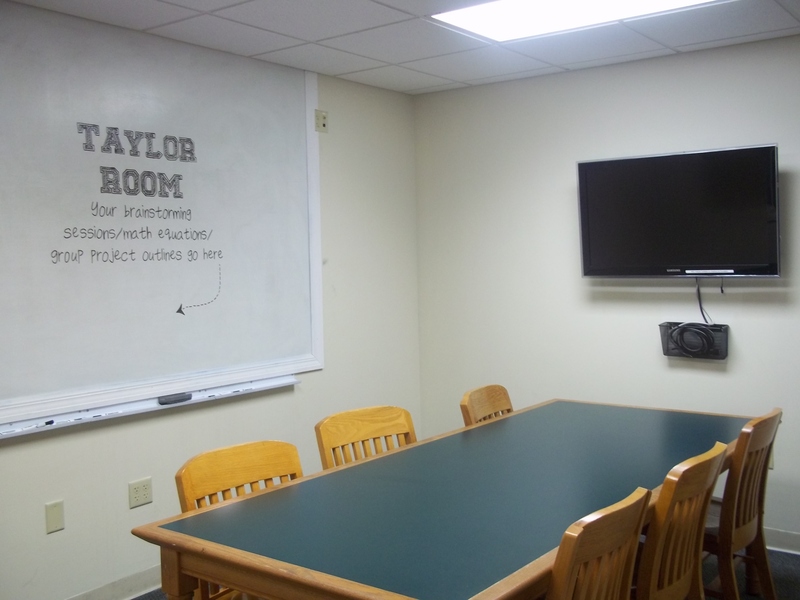 The Taylor Room is the large study room with collaboration station, white board, and seating for six. 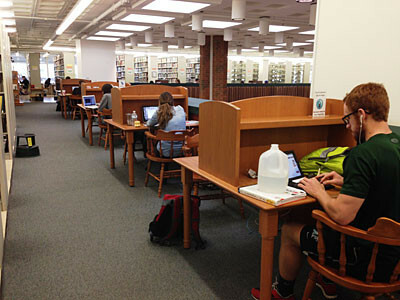 We strongly recommend that you reserve Study Rooms 24 hours in advance. 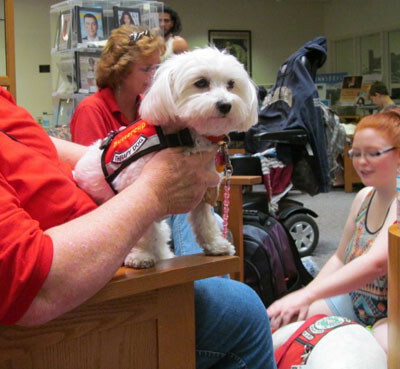 Room requests must be approved by library staff. 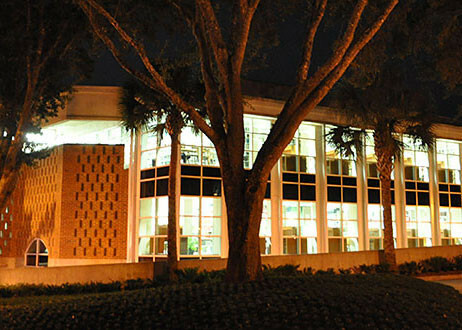 The study rooms are available during normal business hours. 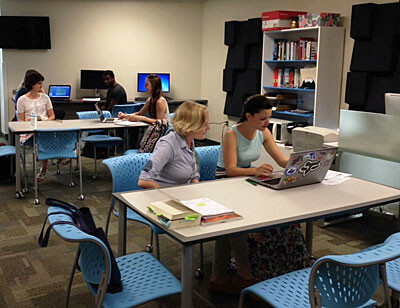 For more information about Lab Policies, Printing and Computer Lab support please click here. 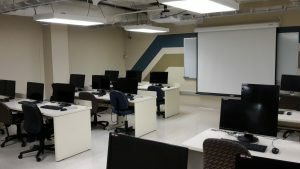 This lab is maintained by the IT department. The duPont-Ball Library does not maintain its bookings but using the button below will take you to the proper form for reserving. The computer lab is located on the ground floor of the duPont-Ball Library and is available 24 hours a day using your student ID card at the card-swipe access point. 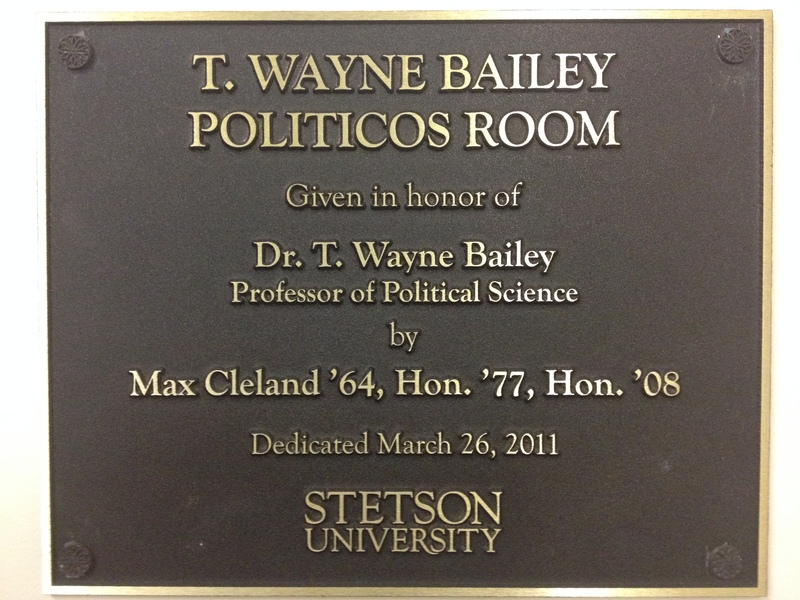 The T. Wayne Bailey Politicos Room is located downstairs in the library. It is available on a limited basis Monday – Friday 8:00am – 5:00pm. 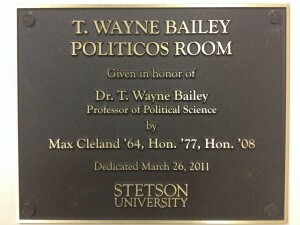 Only Stetson faculty and staff may book this room. 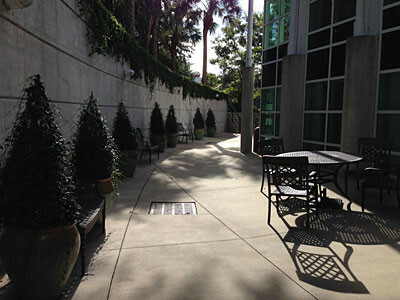 The Nemec Courtyard is located on the north side garden level of the library. This space could accommodate 75 people. 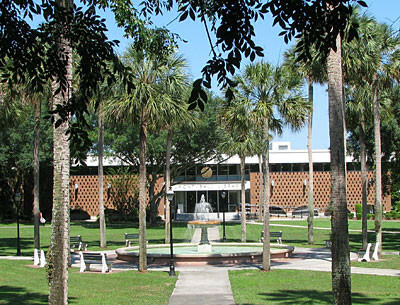 User is responsible for set up and clean up of the courtyard. 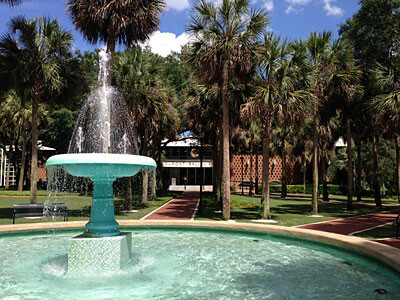 Only Stetson faculty and staff may book this space. 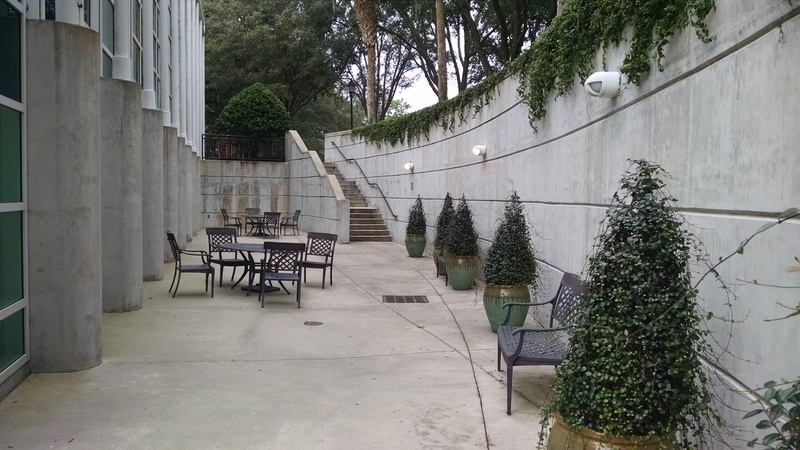 Student groups wishing to reserve the Courtyard should have their faculty advisor make the reservation. 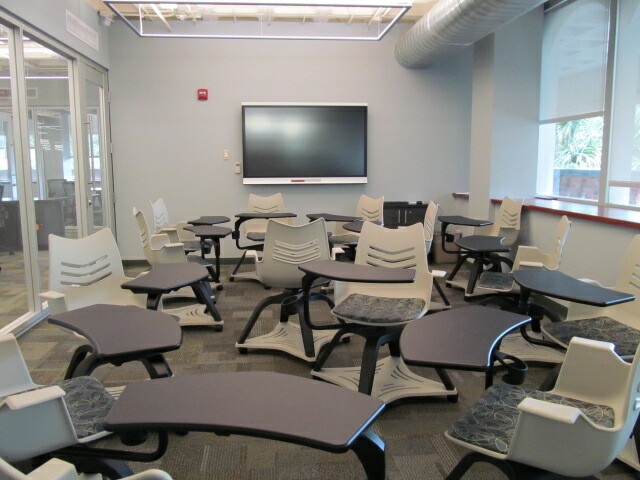 Each of the HFSSC’s Smartboard Rooms features approximately 17 rotating chair desks that can be arranged for small groups, in classroom style, or circled up. 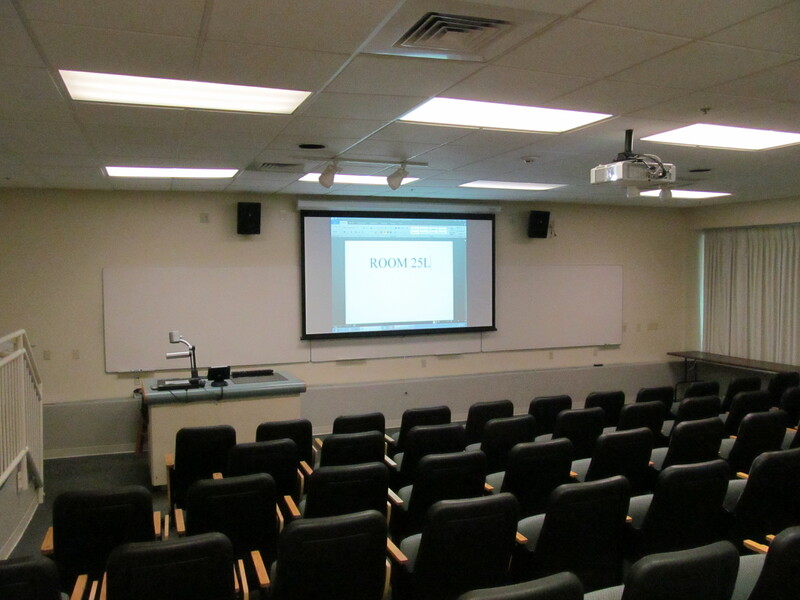 Each room is equipped with a Smartboard where you can practice presentations, work on projects and send them to your phone or laptop, and much more! There are also three white boards available in each room for extra work or projects. 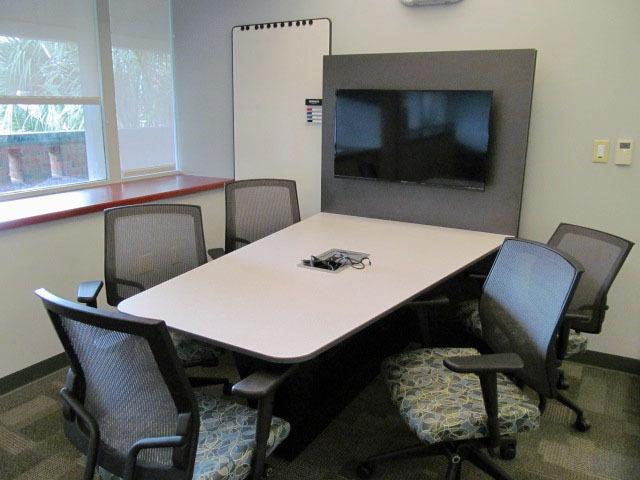 The HFSSC’s two TV Multimedia Rooms each seat five and feature a flat-screen television, allowing for up to four laptops or other devices so that collaboration can happen with the click of a button. These rooms are also equipped with a white board for those big ideas you just have to write down!